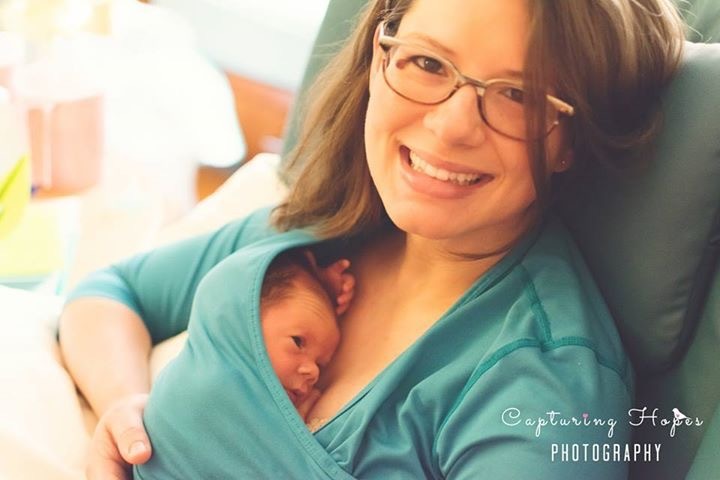 Last month we celebrated one of our favorite “holidays” – Kangaroo Care (KC) Awareness Day! We were honored to participate in amazing KC events around the country and to be involved in sharing the tremendous impact kangaroo care has on infants and their families. We teamed up with some outstanding hospitals to be a part of their Kangaroo Care Awareness Day initiatives through a Buy One, Donate One program we offered with our Pocket. For every Pocket that hospitals purchased during their KC Day activities, we donated one, enabling every baby in their NICUs to be held skin to skin in a NuRoo Pocket. Over the next few months, we’re excited to feature several of these hospitals, their NICU teams + their patient families. Their phenomenal efforts + successes inspire us endlessly! This month we’re featuring Indiana University Health North Riley NICU. Their level 3 NICU proudly focuses on family centered care and was the first private room NICU in Indiana, 10 years ago. They have twin-sized beds in every room, so that parents can spend the night with their babes! They are a breastfeeding friendly hospital and have been supporting and encouraging moms to practice skin to skin contact for years. Some of the NICU team at IU Health North Riley during their Kangaroo-a-thon! For us, there is nothing better than seeing parents and their sweet babies in our Pocket, soaking up the benefits of kangaroo care that help heal + advance their baby’s health. This is what makes our days bigger + brighter! Jenny Hollingsworth + Baby Luke all smiles kangaroo-ing! Huge thank you to Riley Hospital for Children NICU for sharing their story, these photos and the incredible work they do every day. You guys are truly amazing!